As social media marketers, it’s easy to consume yourself with the number of Likes, comments and shares each post receives. But your analysis shouldn’t end there. While important in their own right, each of those small actions play a much bigger role: they directly influence how your content is distributed on Facebook. While its importance is heavily debated, Facebook reach is one of those metrics that marketers need to understand. Whether you question its validity or swear by it, you need to know what Facebook reach all about. Simply put, Facebook reach is the number of unique people who see your content on the social network. It’s a measurement of your brand’s effective audience. Not all of your fans will see every single post you publish. And not everyone who sees your updates will be fans of your Page. Paid: This is the number of unique people who saw your paid content—such as a Facebook Ad. Viral: The number of unique people who saw your post or Page mentioned in a story published by a friend. These stories include actions such as Liking, sharing or commenting. For this article, we’re going to focus on organic reach, but you should always approach your Facebook marketing strategy holistically. This means that viral and paid reach (if applicable) should be among the metrics you track regularly. For more ideas on which metrics you should be tracking, check out our Social Media Metrics guide. The simple answer is sort of, but not for the reasons you might think. It’s not that organic reach is dying, but rather the News Feed is evolving with Facebook’s ever-growing user base. A 2014 study by EdgeRank Checker found a 9.4% drop in organic reach between February 2012 and March 2014. A slightly more recent study by Social@Ogilvy found that Pages with more than 500,000 Likes, the percentage of organic reach had dropped to 2%. The good news is that people are Liking more Pages. As of April 2014, the total number of Pages Liked by the average user grew by more than 50%. The bad news is that with each new Page Like, it gets more difficult for posts to gain traction in News Feed. On average, there are 1,500 stories that can appear in someone’s News Feed each time they log onto the platform. If someone has a lot of Page Likes, that number increases to 15,000 potential stories. As a result, competition for exposure increases. Rather than display all 1,500 potential stories, News Feed is designed to show individuals the content that’s most relevant to them. Out of those potential stories, approximately 300 of them are actually displayed. 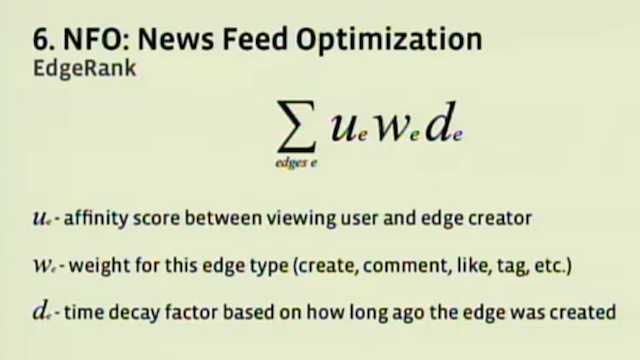 News Feed ranks each possible story using EdgeRank. Many factors influence your organic reach, but Facebook’s EdgeRank plays the biggest role. EdgeRank is the algorithm Facebook uses to determine which updates are displayed in a user’s News Feed. So even though you’re sharing updates publicly, Facebook ultimately determines who will see them. When was the post was published? Is it trending? The number of Likes, comments and shares the post has. Are other people engaging with it? How often has the user interacted with the Page posting the update. What’s the connection between the two? Past user interaction with the same post type. What’s the user’s behavior around text-based posts vs. photos? Everything from the type of story you publish to how close someone is to your brand to how old your post is can impact where your content falls in a user’s News Feed. On top of that, users are now able to control what they see on News Feed to an extent. By updating their preferences, people can prioritize whose posts they’ll see first. For example, if someone is growing tired of self-promoting brand posts—something that Facebook now penalizes (more on that later)—they can choose to have updates from friends appear higher up on their News Feed. 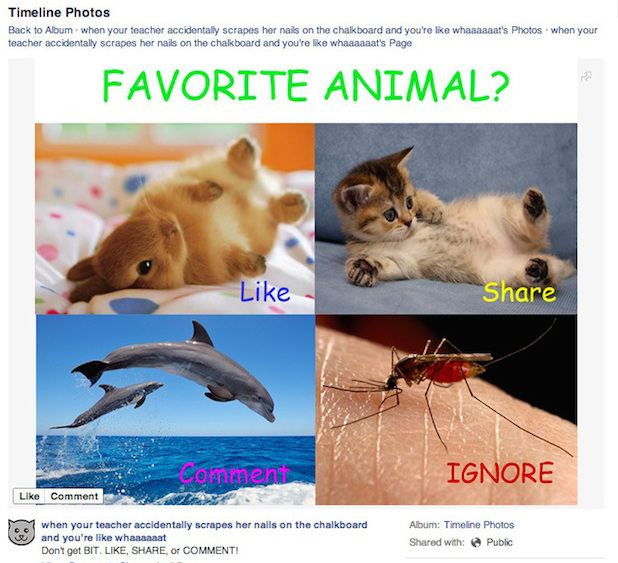 Additionally, over the years, Facebook has gotten better at showing more high-quality content by cleaning up News Feed spam such as Like-baiting content. You’ll find a much more detailed look at EdgeRank and its history, in our guide to the Facebook News Feed algorithm. Unfortunately there isn’t a magical solution to organic reach. You’ll never be able to reach every single one of your followers with all your updates. But you can optimize your content strategy so there’s potential for your updates to reach more people. Remember earlier we said that Facebook looks at the connection between a user and the content publisher? In order for that to increase you need to build relationships with your followers. Don’t just publish content and walk away. Create conversations around the things that you post and respond to users when they comment. 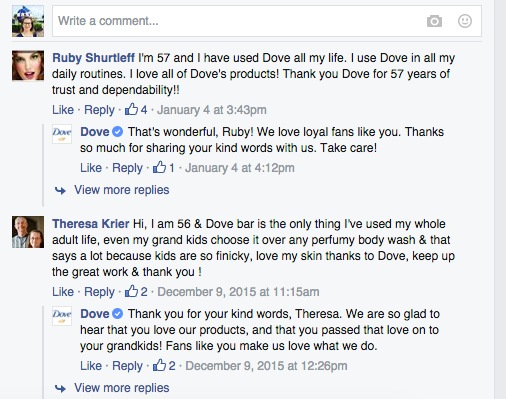 Dove goes above and beyond when it comes to relationship building. Not only does the brand publish content that elicits emotion, but it takes the time to respond to almost everyone who leaves a comment. Talk about dedication. You should never publish content just for the sake of updating your Timeline—this applies to any social network, not only Facebook. Instead you should focus on creating content that fulfills your business objectives. The updates you post need to add value in some way, whether they’re educational, entertaining or conversational. At Sprout, we focus on sharing content that educates and empowers our fans. That’s why we offer the best Facebook management tools to help your business schedule, publish, collaborate and analyze everything you’re doing on the social network. Facebook is an incredible marketing and sales tool, but not everything you do on the platform needs to revolve around selling. In 2014, users told Facebook they wanted to see more stories from friends and Pages, and less promotional content. Posts solely pushing people to buy a product or install an app. Posts pushing people to enter promotions or sweepstakes with no real context. Posts reusing the same exact content from ads. Your Facebook Page is about your business and your products, but don’t forget about the 80/20 rule—80% of your updates should be social in nature. And if keeping fans happy isn’t incentive enough, Facebook began displaying less of this type of content in News Feeds in January 2015. Overly promotional posts aren’t good for Facebook reach. Think about why people are coming to your Facebook Page and how they’re using it, then use that information to inspire your content strategy. One way to improve your reach is to ensure your posts reach the right people. What’s the point of having 5,000 people see your update if only 1,000 of them find it relevant? By targeting your organic posts, you can deliver updates to people based on their gender, age, education, location and interests. 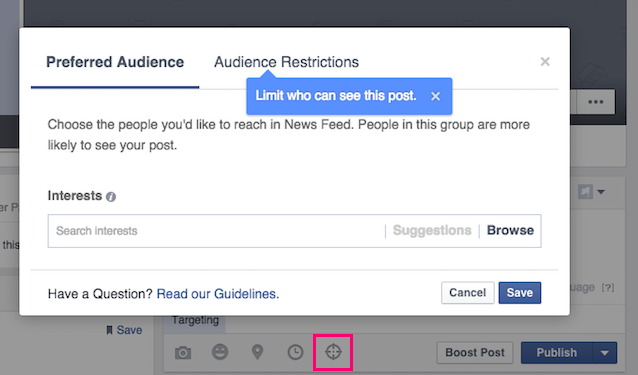 Your targeted posts will still appear on your Page for all to see. The targeting parameters you set will only filter the post in News Feed. 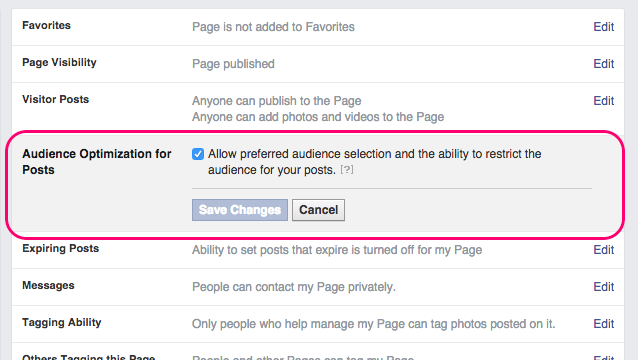 To take advantage of Facebook’s Audience Optimization, you must have the option turned on in Settings. Once enabled, you’ll see a compass-like icon added to the compose box of your Facebook Page. From there you can create your preferred audience (based on interest) or limit who can see the post (based on demographic data). These are just a handful of the different tactics you can employ to improve your Facebook reach. Remember that doing so isn’t about gimmicks—people see through those. In order to be successful, you have to make a permanent change in the way you approach your content strategy. Organic content absolutely has value on Facebook, and Pages that publish great content will continue reaching people in News Feed. Facebook won’t stop evolving, and neither should your content strategy. The best way to get the most out of your organic content is to dig into your insights. See how your metrics are aligning with your business objectives and make well-informed decisions about how to move forward based on your Facebook analytics. Do you have any strategies you believe help your Facebook reach? Feel free to leave a comment below!